With the 2016 presidential election season, heated debates continue from cable news to the kitchen table. 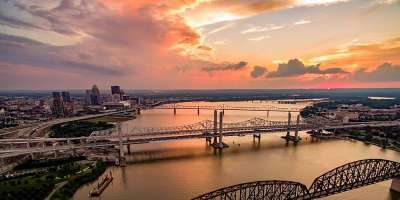 While partisan politics may get divisive, there’s one thing everyone—blue, red or purple—can get behind this year: the power of travel in America. Figuratively speaking, travel is the perfect presidential candidate: it’s a job creator, it’s pro-family and it’s good for our health. Here’s why: the $2.1 trillion travel industry supports 1 in 9 American jobs—research even demonstrates that 2016 election-related travel is already a boon for local economies. The travel industry provides good jobs in every single U.S. Congressional district and is, in fact, one of the top 10 employers in almost all 50 states. Americans save an average of $1,147 in taxes each year because of travel-related tax revenue in their communities. Travel also greatly benefits our relationships, families and children. Kids who travel with their families are more likely to attend college and earn more as adults. And it’s good for our well-being—numerous research studies have confirmed the positive health effects of travel and time off, from reducing the risk of heart disease to decreasing depression. That’s a platform anyone can support! In light of these extraordinary returns, the Clark-Floyd Counties Convention & Tourism Bureau is stumping for “Travel ‘16” this NTTW to make sure our elected leaders seek avenues to expand and support travel right here in our community. Travelers to Clark and Floyd Counties spent more than $265 million in 2014. Of every traveler’s dollar spent in Clark and Floyd Counties, 79 cents stayed local. Tourism has a direct impact on our lives. Revenue collected from tourism in our counties is sufficient to support more than 3,600 public school students. Said a different way, if tourism to our counties did not exist, each of our 73,727 households would have to pay an additional $477 a year to maintain current state and local services. Businesses like Joe Huber’s Family Farm & Restaurant, the Culbertson Mansion State Historic Site, the Falls of the Ohio State Park, the Howard Steamboat Museum, as well as the hotels, restaurants and retail shops provide a rich experience for southern Indiana visitors. Contact your member of Congress (find your representative in the House or Senate) and tell them why travel is important to Clark and Floyd Counties. Get social and engage with the #NTTW16 hashtag on Twitter, Facebook, and Instagram. For more great ideas and resources, check out this toolkit from the U.S. Travel Association. 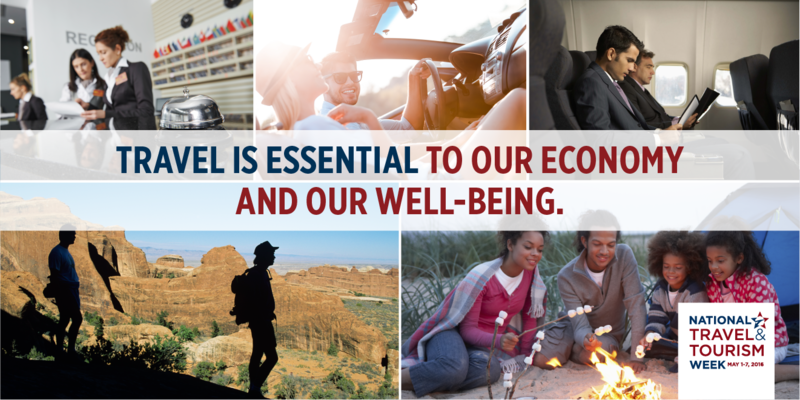 This year’s National Travel and Tourism Week is more than just another campaign. It’s a movement that positions the travel industry as a “primary” driver in the U.S. economy and an important part of our daily lives.